1. Learn to enjoy writing: writing is a craft skill, which can be improved with regular practice. Learn to enjoy it. Bored authors write bored prose. Think carefully about your intended readership, redrafting as you go. Then ask a trusted and stringent critic for a frank assessment. Adjust in the light of critical review – or, if not accepting the critique, clarify/strengthen your original case. 2. Have something to say: essential to have a basic message, conferring a vital spark of originality for every assignment. Otherwise, don’t bother. But the full interlocking details of the message will emerge only in course of writing. So it's ok to begin with working titles for books/chapters/essays/sections and then to finalise them about three-quarters of way through writing process. 3. Start with mind-mapping: cudgel brains and think laterally to provide visual overview of all possible aspects of the topic, including themes, debates and sources. This is a good moment for surprise, new thoughts. From that,generate a linear plan, whilst keeping mind-map to hand as reference point. And it’s fine, often essential, to adapt linear plan as writing evolves. As part of starting process, define key terms, to be defined at relevant point in the text. 4. Blend discussion of secondary literature seamlessly into analysis: beginners are rightly trained to start with a discrete historiographical survey but,with experience, it’s good to blend exposition into the analysis as it unfolds.Keep readers aware throughout that historians don’t operate in vacuum but debate constantly with fellow historians in their own and previous generations. It’s a process not just of ‘dialogue’ but of complex ‘plurilogue’. 5. Interpret primary sources with respect and accuracy: evaluate the strengths and weaknesses of primary sources from the past; be prepared to interpret them but only while treating them with the utmost respect and accuracy. Falsifying data, misquoting sources, or hiding unfavourable evidence are supreme academic sins. Historians are accustomed to write within the constraints of the evidence. That’s their essential discipline. Hence the claim by postmodernist theorists that historians can invent (or uninvent) the past just as they please is not justified. Indeed, if history (the past) was simply ‘what historians write’, there’d be no way of evaluating whether one historian’s arguments are historically more convincing than another’s. And there’d be no means of rebutting (say) Holocaust denial. The challenging task of evaluating, interpreting and knitting together many different forms of evidence from the past, in the light of evolving debates, is the essence of the historian’s practice. 6. Expound your case with light and shade: Counteract the risk of monotony by incorporating variety. Can take the form of illustrations; anecdotes; even jokes. Vary choice of words and phrases. Vary sentence lengths. Don’t provide typical academic prose, full of lengthy sentences, stuffed with meandering sub- clauses, all written in densely Latinate terminology. 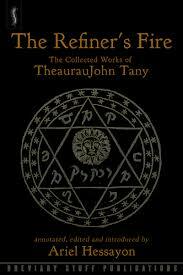 But don’t go to other extreme of all rat-a-tat sub-Hemingway terse Anglo-Saxon texts either. Variety keeps readers interested and gives momentum to an unfolding analysis. 7. Know the arguments against your own: advocacy works best not by caricaturing opposite views but by understanding them, in order to refute them successfully. All courtroom lawyers and politicians are well advised to follow this rule too. But no need to focus exclusively on all-out attack against rival views. That way risks making your work become dated, as the debates change. 8. Relate the big arguments to your general philosophy of history: Don’t know what that is? Time to decide. If not your lifetime verdict, then at least an interim assessment. Clarify as the analysis unfolds. But again ensure that the general philosophy is shown as informing the unfolding arguments/evidence.It’s not an excuse for suddenly inserting a pre-conceived view. 9. Know how to end: Draw threads together and end with a snappy dictum. 1956: The World in Revolt by Simon Hall. Faber & Faber 2017. It is hard not to agree with the Simon Hall that the world was in revolt in 1956. To what extent Hall has understood the nature of this revolt is another matter. While the book has a broad scope, Hall has only a rudimentary understanding of what needs to be said. The twentieth century has seen some world-shaking events none more so than in 1917 which saw the successful October Russian revolution. While 1956 is not quite in that ballpark, it nonetheless was a significant year by any stretch of the imagination. It is to Hall’s credit that he spent so much time highlighting it. It is also true that while other dates have been widely studied the 1950s and particularly 1956 have been under-researched. The first question any reader will ask is how one examines a whole year in one medium-sized book. The answer, in this case, is very neatly. Part 1 is ‘Winter; Part II is ‘Spring Part III is called ‘Summer and Part IV, Autumn’. This cleverness can, however, take you only so far. Although Hall writes in a very accessible and exciting style, he has a limited understanding of the significance of this year on future world events. Moreover, an even less understanding of Stalinism, which diminishes his capacity to produce consistent or groundbreaking work. While Hall narratively describes these events, it is to the detriment of a more analytical study of the world in 1956. His book tends to end up as a collective mishmash of events that have no real connection other than they happened in 1956.Hall is too reliant on memoirs and secondary sources, which tend to blur out what Hall thinks. 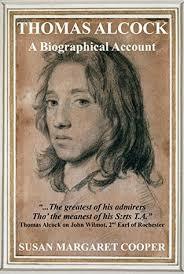 The book tends to be written more from a journalist than a historians point of view. As One reviewer states “1956 is enjoyable and informative, but it has limits. What is missing is the sense of a bigger picture or a deeper rationale. Hall seems to sense this, as he makes periodic efforts to provide a connecting thesis. He ends his Prologue: "1956 saw ordinary people, across the globe, speak out, fill the streets and city squares, risk arrest, take up arms and lose their lives to win greater freedoms and build a more just world... It was an epic contest that would transform the post-war world." 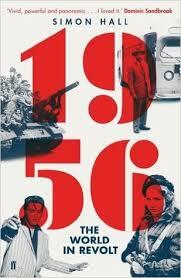 At least five significant themes need to be examined if a book about 1956 is to be any good. First and foremost you would have to examine the explosive rise and dominance of American Capitalism. Secondly the worldwide crisis of Stalinism.Thirdly the catastrophic impact of the policies of the petty bourgois nationalist movement especially in Latin America. Fourthly, The growth of Left-wing groups after 1956. Last but not least the response of the working class and the growth of Trotskyism. Hall opens the book with the firebomb attack on Martin Luther King. Hall’s writing on the explosive Civil rights protest is separated from the very explosive rise of American capitalism. The events of 1956 were a confirmation of Leon Trotsky’s prognosis that the early to middle part of the 20th century would see the violent confrontation between the rise US imperialism and the demise of European capitalism. Although writing in 1924 the Russian Marxist Leon Trotsky’s analysis showed remarkable foresight ” From the power of the United States and the weakening of Europe flows the inevitability of a new division of world forces, spheres of influence and world markets. America must expand while Europe is forced to contract. In precisely this consists the resultant of the basic economic processes that are taking place in the capitalist world. The US reaches out into all world channels and everywhere takes the offensive. She operates in a strictly “pacifist” manner, that is, without the use of armed force as yet, “without effusion of blood” as the Holy Inquisition said when burning heretics alive. She expands peaceably because her adversaries, grinding their teeth, are retreating step by step, before this new power, not daring to risk an open clash. That is the basis of the “pacifist” policy of the United States. Her principal weapon now is finance capital backed by its billions of gold reserve. “This is a terrible and overwhelming force in relation to all parts of the world and particularly in relation to devastated and impoverished Europe. To grant or to refuse loans to this or that European country is, in many cases, to decide the fate not only of the political party in power but of the bourgeois regime itself. Up to the present time, the US has invested 10 billion dollars in the economy of other countries. Of these 10 billion, two have been granted to Europe in addition to the ten billion formerly supplied for its devastation. Now, as we know, the loans are granted in order to “restore” Europe. Devastation, then restoration: these two aims complement each other, while the interest on the sums appropriated for both keeps flowing into the same reservoir. The US has invested the most capital in Latin America which, from the economic standpoint, is becoming more and more a dominion of North America. After South America, Canada is the country which has obtained the most credits; then comes Europe. The other parts of the world have received much less”. Many of the events described in Hall’s book were in some cases indirect products of this new era. One more direct product was the Suez crisis. Which largely confirmed America’s preeminence as a global superpower and the demise of one of Europe’s leading bourgeois nations Britain. The second point that needs to be examined is the USSR’s relationship with America. Many processes were at work to bring about Khrushchev's actions in 1956. However, the main one being that national autarkic economy of the Soviet Union was rapidly disintegrating and was no match for the global reach of the American Economy. Stalin’s theory that you could build a nationally insulated economy within one country was coming to a bloody demise. As Nick Beams points out “Leon Trotsky, writing in his book The Revolution Betrayed traced the origins of the bureaucracy and warned that its monopolisation of political power, its nationalist doctrine of socialism in one country and the defence of its material interests and privileges against the Soviet masses would lead inevitably to the liquidation of all the gains of the 1917 revolution and the restoration of capitalism unless it was overthrown by the working class. Beams continues "In that book, Trotsky refused to characterise the Soviet Union as “socialist”. The Russian Revolution and the nationalisation of the property had, he insisted, done no more than lay the foundations for the transformation of the Soviet Union into a socialist society. Its future depended on a complex series of national and international factors. The transition to socialism depended on the interconnection of two processes. If the revolution, which had begun by 1917, had extended to the advanced capitalist countries and if the Soviet working class was able to overthrow the usurping Stalinist bureaucracy then the USSR could evolve in the direction of socialism. However, if the Soviet Union remained isolated and if the bureaucracy, in defence of its material interests and privileges, continued to stifle the progressive tendencies inherent in the nationalised industry and central planning, then the Soviet Union would undergo a continuous degeneration, leading eventually to the restoration of capitalism”.This is precisely the process that was underway in 1956. In 1956 sections of the Stalinist bureaucracy turned on its commander in chief and partner in crime Stalin. Kruschev’s “secret speech” was hardly secret and was not so much a political break with Stalinism but a mechanism in which to deal with the raging political and economic crisis that gripped world Stalinism. Khrushchev had a very limited understanding of what social forces he was inadvertenly unleashing with his speech.Far from preventing revolution, he opened the floodgates. His response was the same as Stalin and unleash terror on the working class. While Hall does not glorify the growth of Castrism, he does not explain its ideological roots or the enormous damage it did to the revolutionary aspirations of the Latin American working class. It is not within the remit of the article to go into any great detail on Castroism, but a few points can be made. It would not be an overstatement to say that Castroism has been the subject of extraordinary misunderstanding. Some people portray it as a movement towards socialism some say it is real existing socialism even Marxism. None of these falsehoods is true. Castroism was not a movement of working class. It was a movement based on the petty bourgeoisie of Cuba. When describing Castro as a "petty-bourgeois nationalist" One is merely calling things by their right scientific name. As the American Marxist writer Bill Vann states “Marx correctly stated that the petty-bourgeoisie is incapable of independent and consistent political action. Its inconsistency is a reflection of its intermediate social position. Caught between the two main classes of society and continuously being differentiated into exploiter and exploited, it is compelled to follow one or other of these classes—either the proletariat or the bourgeoisie”. Far from leading to socialism throughout Latin America the working class there was lead to defeat after defeat; the responsibility lies with the petty bourgeoisie nationalists. An examination of Cuba today is a sad confirmation of these defeats. Castro’s brother is leading the country to a disaster by opening up the economy to the rapacious nature of American capitalism. Fourth Theme-The New Left and 1956. The political and social crisis produced by the 1956 crisis of Stalinism opened new opportunities for left-wing groups in Britain and globally. The break of Stalinism’s grip on the working class led to new formations on the left. The majority of these formations were not that healthy and still clung to the ideological baggage of the Stalinists.The Britsh Communist party lost a significant amount of it working class cadre and a large section of its intellectuals such as EP Thompson Christopher Hill, Raphael Samuel, John Saville to name but a few. Samuel who left at the same time as Hill formed a new Magazine alongside Stuart Hall.In November 1956, he sent a letter to Stuart Hall suggesting they set up a magazine called ‘New University Left,' Hall accepted the idea, but the magazine went on to be called Universities & Left Review. To gain support for the publication which would orientate not towards the working class but to students, former CP members, fellow travellers, and various other left-wing radicals Samuel sent letters to these forces appealing for money and articles. Samuel and Hall were both hostile to Trotskyism and refused to collaborate when the Trotskyists of the SLL sought a joint political approach to the demise of Stalinism.Healy’s initial response to the ULR was friendly, and he sought a dialogue with them and other New Left groups. The ULR’s hostility to Trotskyism soon became apparent. Samuel said “There has been an incredible mushrooming of inner-party groups. On the ultra-Left—the dissidence of Dissent—a dozen ‘vanguard’ parties, and as many tendencies and groups, compete for the honour of leading a non-existent revolutionary working class”. 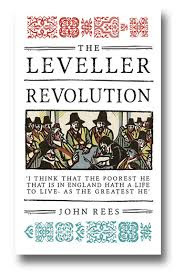 “Many others in Britain, today besides contributors to LABOUR REVIEW, are consciously trying to make a Marxist theoretical contribution to the socialist movement.Those connected with the New Reasoner and Universities and Left Review number avowed Marxists in their ranks, and some of their work is of great value. However, in the belief that theory is very important,indeed basic to the building of a Marxist working-class leadership-and we assume that the editors of those journals agree that this must be the primary aim of all of us-we think it vital to state sharply where we different basic questions of theory and method, as well as genuinely to try to find areas of common ground in research and common fronts in current political struggles”. Despite the SLL’s comradely approach, this was not reciprocated by the New reasoner editorial board,leaving SLL leader Gerry Healy to write “Comrade Thompson seems to have cast away all the luggage, he was equipped with the Communist Party except one soiled old suitcase labelled anti-Trotskyism. Brian Pearce won to the SLL out of the CP wrote warning of the dangers of founding an organisation without thorough assimilation of the struggle waged by Leon Trotsky against Stalinism was prescient. Pearce warned of the dangers of an uncritical attitude by the ULR editors towards their past affiliation to Stalinism and their hostility towards the orthodox Marxist in the SLL. “Nothing could be more dangerous today than a revival of the illusions which dominated that ‘old Left.' One of the chief sources of the confusion and worse in ‘new Left’ quarters, and in particular of their hostile attitude to the Socialist Labour League, is to be found in the fact that though these people have broken with Stalinism they have not undertaken a thorough analysis of what they repudiate, have not seen the connection between the apparently contradictory features of Stalinism at different times or even at one time, and so they remain unconsciously open to influence by false ideas absorbed during their period in the Stalinist camp”. Fith Theme -Gerry Healy and the Socialist Labour League. As an epitaph to his book Hall wrote "many of those who took to the streets or called for change, as well as those who defended the status quo, were aware of the global context in which they were acting. Indeed, some sensed that they were part of a larger interconnected story". While it is facile for one historian to entirely ditch his theory of historical events and adopt another, I believe that if Hall had delved into the Marxist archive and attempted to give his book on 1956 a more analytical and perspective driven angle, then a better book would have been achieved. Raphael Samuel’s book consists of three separate articles reprinted from the New Left Review written in the mid-1980s. His primary purpose for writing the book remains unclear, although it is common for political activists to put down in writing their understanding of events that have played a crucial role in their political development. 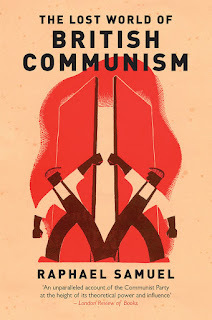 Written amidst a bitter faction fight inside the British Communist Party for political control the book does almost nothing to further our understanding of Stalinism. The book contains significant autobiographical reminisces of Samuels parent's life inside the party. Their life and his inside the party will strike a chord with any political activist whose party became their life, socially, politically, and morally. Samuel's use of anecdotes to try to explain complicated political and theoretical problems can only take you so far. He quotes a letter sent in 1926 from the party secretary in St Pancras to the London District asking for advice: "... Mrs Kingston, although she has passed party training, and is, therefore, a full member of the party, does not accept the materialist conception of history, and she believes that communism is founded on idealism and not on materialism. She is trying to form a group of people who think the same”. On hearing this, any orthodox Marxist would ask why my party is recruiting idealists. Is there something wrong with the method of the party. The reviews emanating from the Pseudo Lefts groups of Samuel’s books is indicative of their relationship with the Stalinist movement. One study from Red Pepper Magazine said “In this book, Raphael Samuel shows in this wonderfully written history and memoir; its puritanical party members stood aloof from the workers and, overall, this attitude was returned in kind. The Communist Party is now part of history, and as the left reforms itself, it should be careful not to repeat the mistakes of this heroic but ultimately misguided tribe. Because of the broad political disagreement I have with Samuels, it is difficult to recommend this book. This is not to say that Samuels was not a gifted historian and his books are probably worth a read. It is because this is such an inadequate analysis of his time in the Communist Party that it would be irresponsible to recommend it to a broad audience without very deep caveats.